The actual number is hard to determine, but many people believe that Florida has one of the highest number of unlicensed drivers in the country. Moreover, according to the Insurance Information Institute, the Sunshine State has one of the highest percentages of uninsured drivers in the country. In other words, there are a lot of drivers in Florida who think they have something to hide. As a result, there are a lot of hit-and-run car crashes in Florida. Even though there are stiff penalties for fleeing the scene of an injury accident, many drivers apparently believe that the risk of getting caught outweighs the certainty of adverse consequences, because the tortfeasor (negligent driver) has no license, no insurance, outstanding arrest warrants, or whatever. What legal options do victims have in these situations? 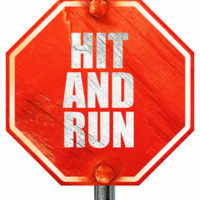 Although many drivers believe that they will “get away with it,” the hit-and-run capture rate is as high as 90 percent in some jurisdictions, if the wreck involved a wrongful death or personal injury; in non-injury “fender-benders,” the capture rate is considerably lower. Although leaving the scene of a collision is most certainly a safety-related statute designed to protect drivers, a violation typically has little or nothing to do with the car crash cause, so the negligence per se shortcut may not be available in these cases. Instead, victims must often establish traditional negligence cases. Duty: Most non-commercial drivers have a duty of reasonable care that extends not only to other motorists but also to pedestrians and bicyclists. Most Uber drivers and other commercial operators are common carriers and they have a higher duty of care, especially with regard to their own passengers. Cause: There must be a direct connection between the breach and the damages, so the impairment must cause the crash as opposed to a defective tire or the victim’s own carelessness. Foreseeability: The damages must be a natural result of the tortfeasor’s action or inaction. For example, it is foreseeable that if Car A rear-ends Car B, it may push Car B into oncoming traffic. Damages: The victim must suffer tangible injury, as near-misses or close calls are not actionable in court. If the victim sustained a serious injury, the victim is also entitled to compensation for intangible damages, such as pain and suffering, loss of consortium (companionship), emotional distress, and loss of enjoyment in life. Punitive damages are available if the victim presents clear and convincing evidence that the tortfeasor recklessly or intentionally disregarded the health and safety of others, and hit-and-run clearly qualifies as such behavior. Juries are particularly prone to award punitive damages if the tortfeasors did not turn themselves in right away. In Florida, evidence of net worth is admissible in punitive damages cases. However, a damages cap may also apply, in some cases. Car crash victims are often entitled to significant compensation, especially in hit-and-run cases. For a free consultation with an aggressive personal injury attorney, contact Reed & Reed. From our office in Brandon, Reed & Reed helps clients in Tampa, New Tampa, Plant City, East Hillsborough County and throughout the state of Florida.